LEGO is one of the most versatile toys we have ever owned. I love coming up with fun new LEGO activities for the different holidays. It is such an awesome fine motor activity and a creative way to play and learn at the same time. 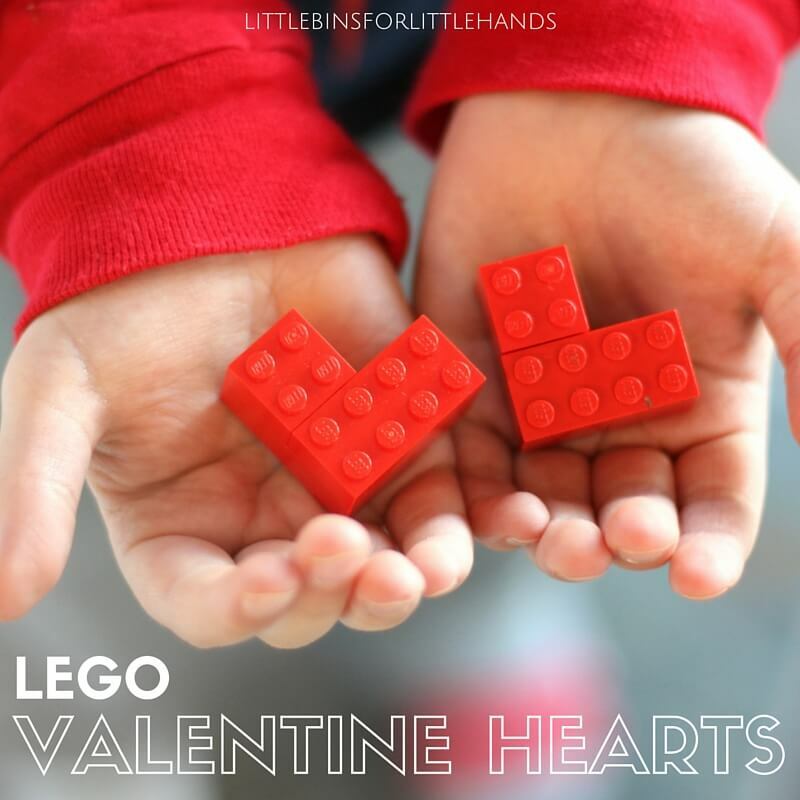 We made mini LEGO hearts to go along with our big LEGO hearts last Valentine’s Day. We also added fun details with tiny pieces for even more fine motor work. 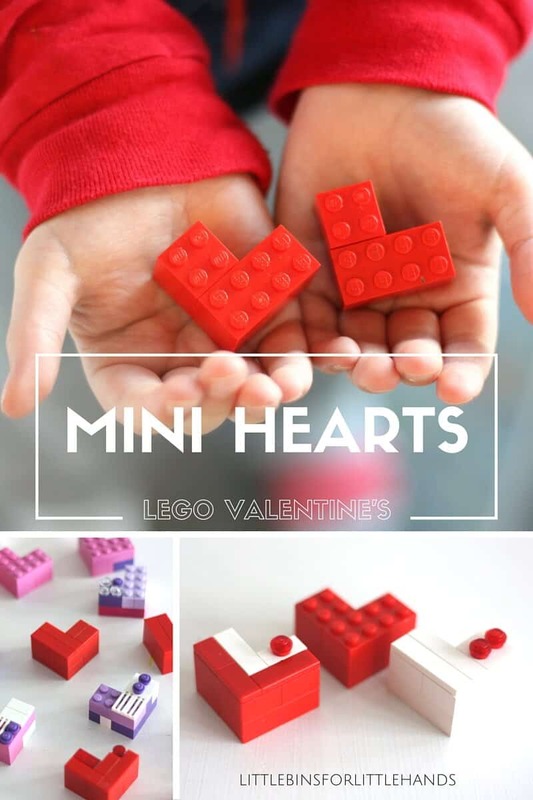 The mini LEGO hearts are part of our LEGO Valentine’s Day building ideas. 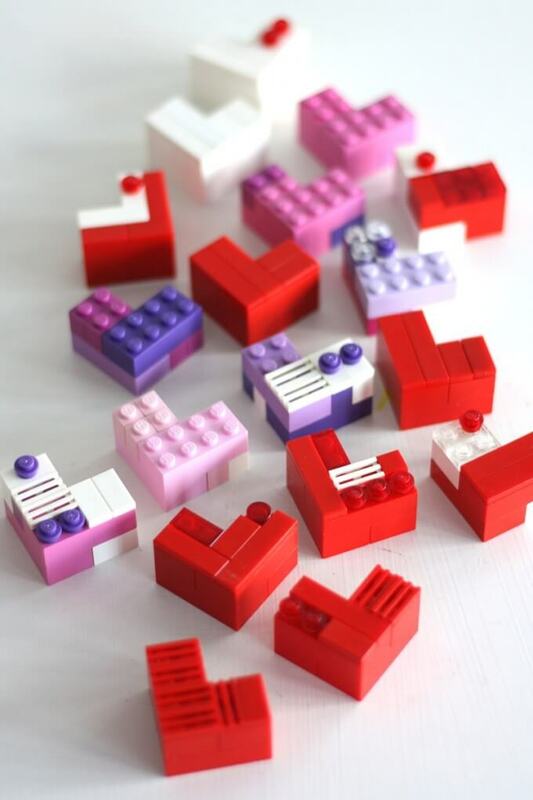 These mini LEGO hearts are built using 4 basic bricks. We added great little details with single stud pieces and flats! These hearts are so quick and easy to build that you can make a whole slew of them in all sorts of colors. We stuck with some traditional colors this time including our red, white, pink, and purple bricks. Red bricks are by far the most of any one single color that we have! We have even more fun ways to build hearts here with all different materials. 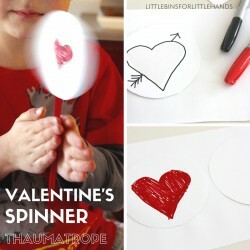 Or launch hearts with a cool Valentine’s catapult. 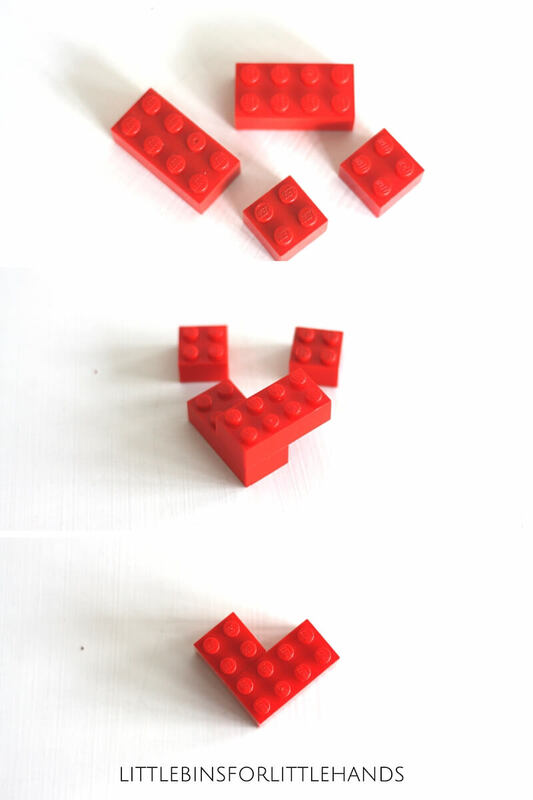 You need 4 basic bricks to make these mini LEGO hearts. You can also get a little crafty if you need to use smaller pieces to make enough complete hearts. Super easy and quick for little fingers! Build a whole bunch of these mini LEGO hearts and you have just done a ton of fine motor work! 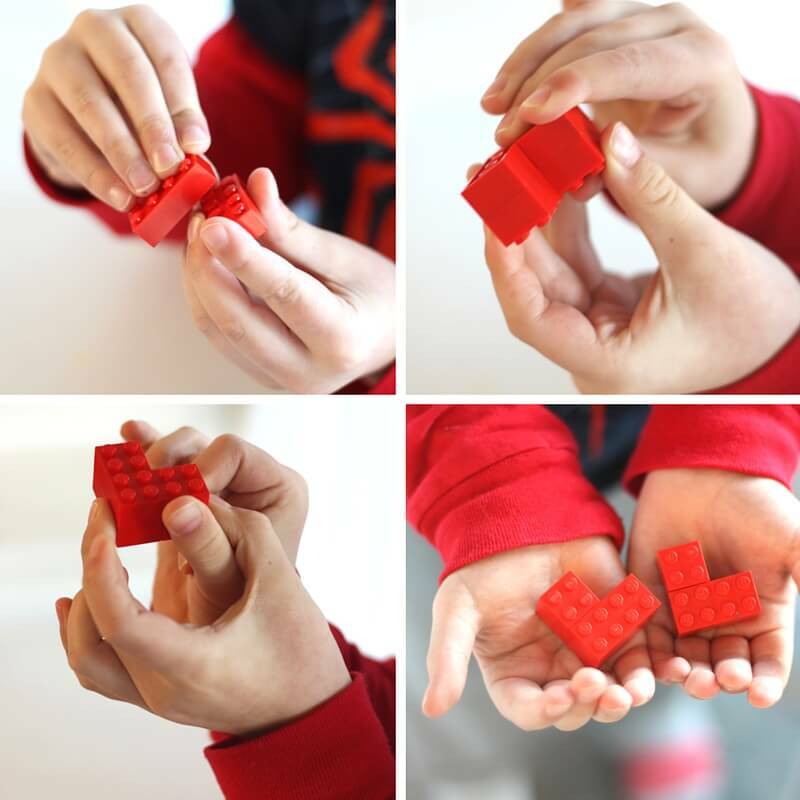 Little hands and fingers love LEGO, but it is definitely work to put together bricks! Finger dexterity, hand strength, and coordination are all relied on even during a simple play activity. That’s what makes learning with LEGO the best! Two hearts in the hand. 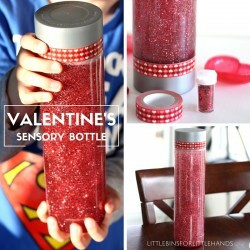 A fun an special way to build and play with your little one this Valentine’s Day. 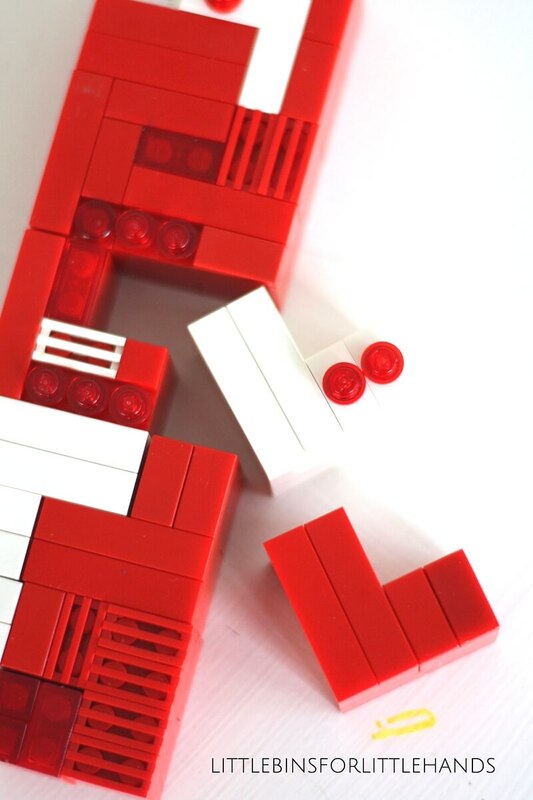 Check it out our mini LEGO hearts fit into a little puzzle. You can make your own designs. My son figured this all out on his own. “Did you know two hearts make a square mom?”. Terrific way to explore outside the box and learn by doing! 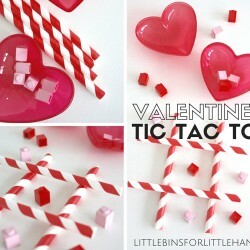 If you are looking for a few more simple Valentine’s ideas, check out the activities below! Simple fun. 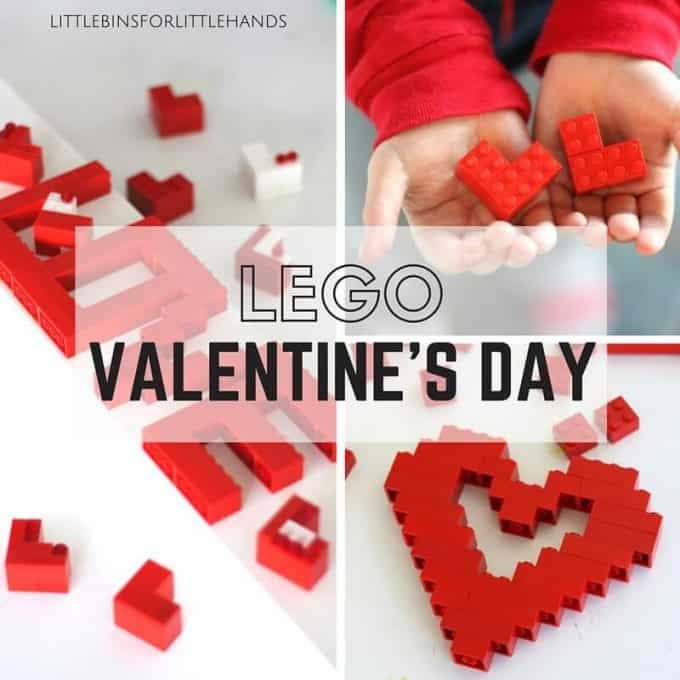 We have more LEGO Valentine’s Day building ideas here. Click on photo below. Join the fun with the Fine Motor Fridays Blog Hop. More fun Fine Motor ideas every Friday! Click on the links below. We have a book too! Click on photo for buying information.